The amino acid known as Tryptophan could help to provide protection against the development of multiple sclerosis (MS). This is according to expert scientists based in Boston, USA. They discovered that there was a link between bacteria living in the gut and the activity of brain cells. 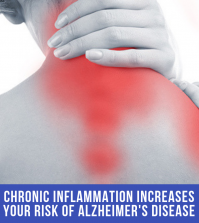 This is especially when it comes to controlling inflammation and brain degeneration. Changes within the diet and gut microbiota can influence astrocytes – the cells in the nervous system that are found within the brain. They believe that this can lead to the neuro-degeneration characteristic of MS. Evidence indicates that the higher the level of Tryptophan within the body, the less likely it is that inflammation will occur. Experts hope that this will lead to new discoveries and therapies for treating MS which they believe has no cure. In addition, they are now able to identify that food has an effect over the central nervous system inflammation. All of this provides more evidence that what we eat has a direct ability to influence the bacteria in our gut to produce small molecules. Consequently, these small molecules are capable of travelling to the brain. Therefore, this has an effect on how the gut controls brain inflammation. There is good news. 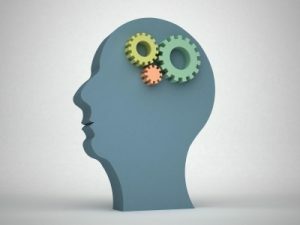 By monitoring what we eat and choosing to enjoy foods that are naturally high in Tryptophan, its possible to find relief from brain inflammation. Additionally, a naturally healthy diet levels up the relief it provides. 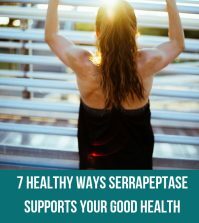 Serrapeptase is highly effective at providing relief from inflammation in any area of the body – including the brain. It’s highly effective enzyme properties can also dissolve the scarred or inflamed tissue. This is the main source of the problem that causes so many painful symptoms to appear. Once the inflamed tissue dissolves, Serrapeptase eliminates it from the body. Therefore, the natural self-healing processes can begin. 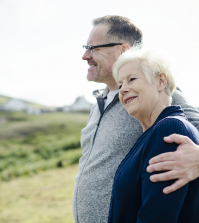 Taking Serrapeptase with Tryptophan makes it possible to find relief for health conditions such as brain degeneration in the long term. 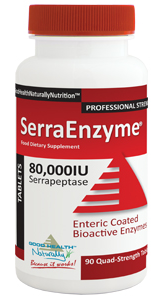 SerraEnzyme 80,000IU is the Serrapeptase product from Good Health Naturally taken for relief of inflammation and its painful symptoms. 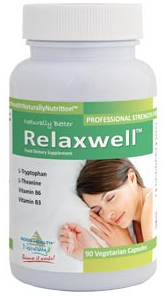 Relaxwell™ is a combination formula by Good Health Naturally containing L-Tryptophan and L-Theanine. In addition, it also has Vitamins B3 and B6 for best results. It contains 500mg of L-Tryptophan. This can help to support healthy sleep pattern and effective relaxation, amongst other benefits. Suffering with MS or similar symptoms? Improving Multiple Sclerosis in 30 Days , a book by Robert Redfern of Naturally Healthy Publications can show you how to improve MS symptoms naturally. Moreover, you can do this without the use of drugs. Read it now to discover the health and nutrient plans needed to find recovery from painful symptoms. El aminoácido conocido como Triptófano podría ayudar a proporcionar protección contra el desarrollo de la esclerosis múltiple (EM), de acuerdo con científicos expertos con sede en Boston, EE. UU. Descubrieron que existía un vínculo entre las bacterias que viven en el intestino y la actividad de las células cerebrales. Especialmente cuando se trata de controlar la inflamación y la degeneración cerebral.